One of pop music's most iconic figures is retiring from touring after a half century of entertaining enthusiastic audiences around the globe. 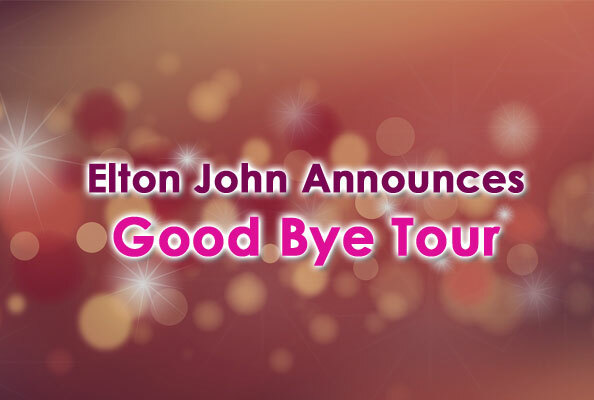 Prior to his retirement from performing, however, the 70 year-old John announced a three year Farewell Tour which includes numerous Canadian dates in an effort to "go out with a bang". "I've had a good run, I think you'd admit that," John said Wednesday. He added that he wanted to "leave people thinking, 'I saw the last tour and it was fantastic." The singer has admitted a long love for Canada and even married a native of Toronto, David Furnish. The couple have two children together. John cited the desire for more family time as one reason for his announced retirement. "My priorities now are my children and my husband and my family," said the singer. "This is the end." Among John's accomplishments include sales of over 300 million records world-wide of chart-topping hits like Crocodile Rock, Candle in the Wind and Saturday Night's All Right For Fighting. His awards include a Tony for Aida, as well as an Oscar and a Golden Globe for The Lion King, in addition to his five Grammy Awards. He also is the recipient of a Kennedy entre honour. Besides these accolades in 2000 John received the Legend Award for his lifetime achievements and was also honoured with the MusiCares Person of the Year for his work in raising hundreds of millions through the Elton John AIDS Foundation. The beloved singer was additionally honoured in 1994 with his induction into the Rock and Roll Hall of Fame. John certainly deserved the honour given his impressive record of 4000+ performances in more than 80 countries during his 50+ year career. John launched his first tour in 1970 and boasts having performed over 4,000 times in more than 80 countries. He was inducted into the Rock and Roll Hall of Fame in 1994.